a nod to the grid… | tinbox marketing solutions, Inc.
Tron has been one of the larger influences in my life. the visuals, fx tech, and overall concept were way ahead of its time. even today, it holds up as an entertaining interpretation of the computing world. 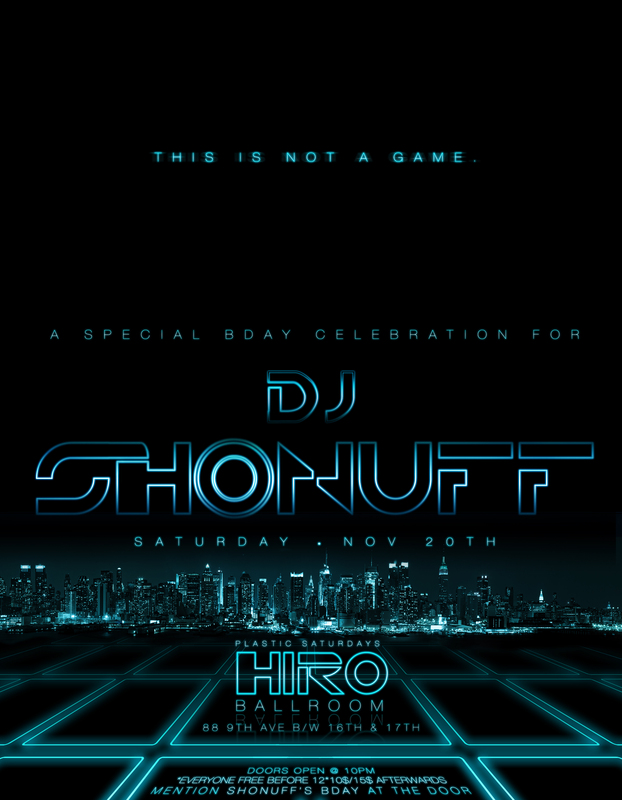 For NYC based DJ Shonuff, TINbox was tasked to create the web flyer for his recent birthday event. As a gift, TINbox also made this poster for him. Happy bday Shonuff! !